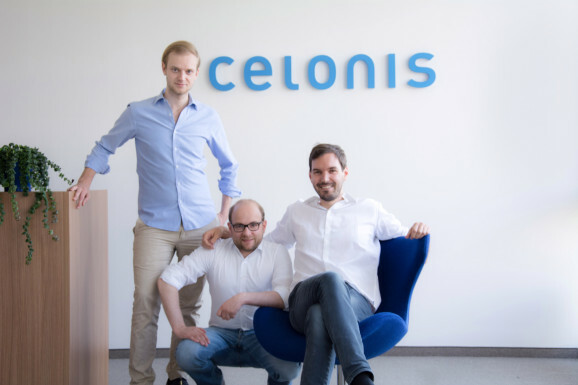 Celonis, A startup based out of Munich which offers data mining services which it terms as "Process Mining" which offers data analysis and visualization tools for business processes to various enterprises has now raised a huge $50 million from Accel Ventures and 83North at a huge unicorn ($1 Billion) valuation which represents another addition to the list of huge enterprise startups popping up around the world with its location in Germany being very outstanding. Accel and 83North who co-led this round are also notable for being the ones who also led the company's 2016 Series A investment where it grabbed $27.5 million to expand its operations. The process mining company is currently profitable and will make use of this investment to "accelerate hiring and expansion plans throughout the world." Celonis currently counts notable customers including Vodafone, Honeywell, Siemens, Airbus, GM, Innogy and a host of other companies who make use of Celonis' technology in getting data to guide them on how to go about the path of automated business processes to get better results for their customers. The German based company currently counts the U.S. as its fastest growing operations base with over 50% of its revenues calculated to be soon coming entirely from the region and with this has expanded its presence in the country to Boston, Miami, Raleigh and its major NY base where it's earmarked to move to an office which will house over 150 employees by this year's fall. Celonis was started in 2011 and stemmed from the original idea of using data to greatly decrease the time which a particular company used to resolve its customer service tickets and with the company succeeding to decrease the time from 5 days to less than a day, The three co-founders pivoted it into an idea which has since ballooned into Celonis and its vast operations today.